Deb has three passions in life – her two children, risk insurance and horses. Her daughter is at university and her son has just completed high school. Deb currently has 40 horses at her 80 acre property, Bellhaven stud. She breeds show jumpers to sell overseas. Deb has more than 20 years experience in the risk insurance industry, starting out in Melbourne on building sites selling income protection insurance to construction workers. Since this early inception into the industry, Deb has created a name in a highly male dominated industry, focusing in recent years on corporate executives and surgeons. After moving to the Sunshine Coast in 2001 from Victoria, with her two children and fourteen horses, not knowing a soul, Deb established Bellhaven Stud. She had a desire to breed show jumping horses capable of matching the best from Europe. Her stud has introduced the best bloodlines from Ireland, France and Germany combining them with quality Australian thoroughbred mares to produce jumpers she hopes will not only eventually sell for millions, but also put Australian riders on the dais at the Olympic Games. Deb launched Her Life in 2007, however had been working on the model for two years. It had always annoyed her that something like Her Life did not exist previously. Her Life is a Risk Insurance Brokerage targeting professional women, and employing only female advisors – Insurance for women, by women. With the moral support of the major Insurance Companies behind her, Deb has big plans for Her Life and is eager to support and mentor a group of female advisors. Deb believes the industry is a fantastic career option for women and she certainly has the expertise to teach women how to do it. 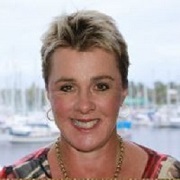 The astonishing part about creating Her Life is that Deb has done it whilst not only operating her Bellhaven Horse Stud but whilst running another successful Risk Insurance Broking business on the Sunshine Coast. Industry peers rate Deb as one of the top advisors in Australia specializing in risk insurance.